Given the success of Clare Waight Keller’s debut bag, the GV3, it will come as no wonder that this iteration, the Cross3, is set to do as well too. And with some of the GV3’s key features incorporated into this new bag (note the hardware as well as the leather and suede mix on the body), you could call this the sleeker, more compact little sister of the GV3. Available in a single size (22 cm by 14 cm), the Cross3 opens to a single compartment secured by a zipper fastening, with a separate pocket for cards and cash. The other great thing about the Cross3 is its ability to be carried in a variety of ways. 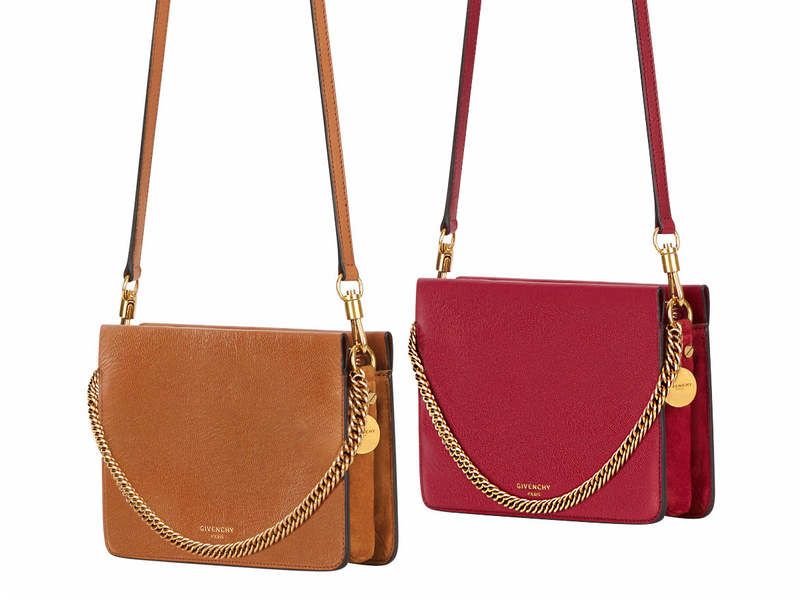 Hold it on its own like a clutch, carry it like a handbag via its antique gold-finish metal chain. Or simply attach the leather strap and have it slung across the body or over the shoulder for that chic handsfree look.